Tonight’s 205 Live will determine who faces Buddy Murphy for the Cruiserweight Championship at Elimination Chamber. A Fatal 4 Way Elimination match between Cedric Alexander, Akira Tozawa, Humberto Carillo, and Lio Rush will be the main event of the show, each man looking to stop the unstoppable Murphy in just over two weeks’ time. Mike Kanellis will be looking to right some wrongs this week, after a disappointing loss to Kalisto in the previous episode, which hurt his chances to ascend the 205 Live pecking order. Wily veteran Brian Kendrick will be no pushover, who I’m sure wouldn’t mind hurting Kanellis while he’s down. Maria Kanellis joins Vic Joseph, Nigel McGuiness, and Aiden English on commentary for this match. Kendrick and Kanellis approach each other with caution as the match gets underway. Even the exchange of holds is applied tentatively as they feel each other out. Kanellis’ anger from last week is still here tonight as he trash talks Kendrick. The former Cruiserweight Champion rocks Kanellis with a right hand to the joy of the crowd. The action spills out to the floor. Maria Kanellis blocks Kendrick from launching her husband through the table. Kendrick tries a different approach, looking for his Sliced Bread finisher with the ring post being used instead of the turnbuckle. The balance is off, however, and Mike capitalizes with a backdrop onto the floor. Mike Kanellis is now in control back in the ring as he vents his constant anger. The match has slowed down considerably now, the punishment inflicted on Kendrick calculating and deliberate. Back out on the floor, and Kendrick is able to reverse an Irish whip as Kanellis crashes into the post. Kendrick rushes Kanellis into the ring to build his momentum further, but a last-ditch clothesline stops Kendrick in his tracks. Kendrick seems to be struggling throughout the match, but his experience affords him the chance to lock in the Captain’s Hook submission. Kanellis is in danger but reaches to the bottom rope after a long stretch. A further Sliced Bread is attempted back in the ring, but Kanellis throws Kendrick into the turnbuckle. Kanellis with a Blue Thunder Bomb variant now, only earning him a two-count, but Kendrick’s kick out is labored. Kanellis hits Kendrick with a spinebuster but, again, no dice. Kanellis’ rage is rising to the surface again. He rains down elbows into the jaw of Brian Kendrick. The referee will need to make a decision soon if this display of rage keeps up. Kanellis slows down his assault, but that doesn’t stop him from landing boot after boot into the prone Kendrick’s head. Kendrick is glassy-eyedbe biasedooks to be done for. He gathers his wherewithal, however, and runs to the corner with Kanellis in tow. He goes for a third Sliced Bread attempt, which Kendrick lands successfully this time. He rolls up Kanellis for the one, two, three. Kendrick makes an understandable beeline for the ramp, but Maria joins Mike in the ring as her husband’s temper tantrum is in full swing. Another bad night for Mike, but Maria seems to calm him down with a knowing look. Next, each competitor of the Fatal 4 Way match have individual hype videos heading into the main event. Most notable is Humberto Carillo, who looks and sounds comfortable in front of the camera. I still feel that Carillo has a lot to do to win me over with his move to 205 Live. It could be bias from me. It could be that I’m bitter with this opportunity given to him at the expense of the other Cruiserweights. I do hope that I warm to him though. I don’t welcome the idea of actively disliking a superstar on my beloved 205 Live, so I guess I will need to be patient. Before tonight’s main event, footage is shown of Tony Nese attacking Noam Dar, which resulted in Nese’s indefinite suspension. The commentary team state that this is an unfortunate situation, but they understand the predicament that Maverick found himself in. Maverick is accosted backstage by Drew Gulak and Jack Gallagher. They are angry at not being able to “coach” Humberto Carillo at ringside. Maverick knows the Submission Commission, and their hatred for Carillo’s style, all too well. Maverick announces a blanket ban of all ringside associates for the match. Noam Dar then approaches Maverick. Despite the 205 Live General Manager’s complaints, he is convinced by Dar into confirming a No Disqualification match between him and Nese for next week’s show. The pair’s matches so far have been fiery bouts. This added stipulation should make things very interesting. Four very different personalities and egos circle each other in the ring. But Rush’s self-assuredness is the most exaggerated, and the other three know it. They all rush in on The Man of The Hour, who still somehow manages to evade the attack. Numbers advantage be damned! The first big spot of the night sees Tozawa sunset flip over Alexander, who had Carillo locked in. The 205 Live “rookie” is German suplexed all the way to Kindom Come. Rush takes advantage and lands offense on Alexander and Tozawa in rapid fashion. Carillo is back up, but Rush nails him with a tilt-a-whirl tornado DDT, earning the first pinfall attempt of the match. Rush is becoming one of my favorites on 205 Live. Speed, agility, aggression. Interchangeable styles which gives him the advantage more often than not. With these strengths, he halts Tozawa from carrying out a low roundhouse kick to the head and delivers one of his own. It looks like I spoke too soon in relation to my love for Rush. 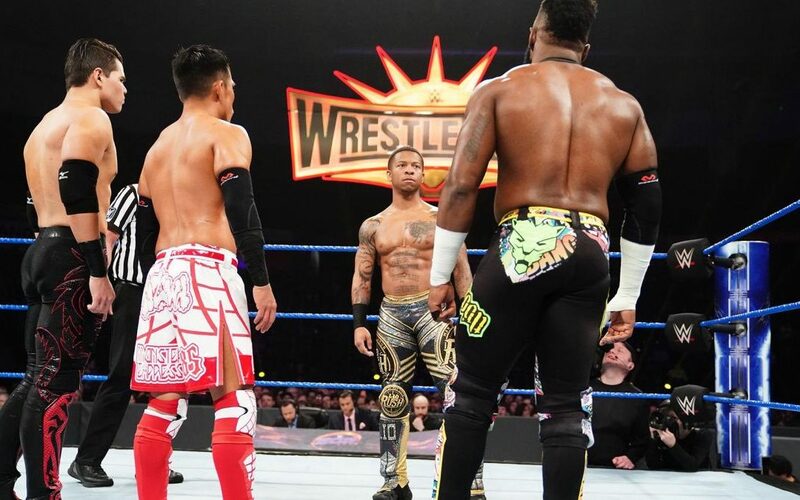 Alexander and Tozawa are now well aware of the threat he poses, and decide to partner up. Tozawa hits Rush with a double boot from the corner, and Rush staggers back into a Lumbar Check. Alexander covers Rush for the three count and eliminates him from the match. Carillo has the most energy out of the remaining three now. He cleverly uses Alexander and Tozawa against each other as he takes to the skies with an arm drag on Tozawa (even though he used Alexander as a launching pad), and follows up with a standing moonsault onto Alexander. Carillo is looking confident as he fights off a significant number of attacks from both Tozawa and Alexander. Luck is also on his side, however. Alexander attempts a springboard clothesline, but he slips off the rope, and his resultant clothesline barely even connects. Probably looking to cover up his mistake, Alexander nurses his knee as the action continues. Tozawa and Alexander are the last two standing. Elbow pads and mouth guards are discarded as both men mean business with a title shot on the line and look to inflict as much damage as possible in the process. Elbows are exchanged, but Tozawa changes tact quickly, running the ropes then applying the Octopus stretch when he reaches Alexander back in the middle. Alexander rolls through with a pin attempt, but it’s not enough. The pair goes back and forth with pin attempts. The exciting sequence ends with stereo pump kicks. The crowd voices their appreciation as Tozawa and Alexander crawl very slowly and gingerly to their feet. It’s hard to determine who has the upper hand in this match. Tozawa runs close though, as he turns a Neuraliser by Alexander into not one, but two snap German suplexes. The second is locked in with a pinfall in mind, but Alexander kicks out. Tozawa ascends the turnbuckle, but Alexander rolls out to the apron. Tozawa is disappointed, but he doesn’t miss a beat, kicking Alexander square in the jaw. He advances upon Alexander, but the former champion hits Tozawa with a uranagi onto the apron. Alexander takes Tozawa back into the ring and earns a long two count after a huge scoop slam. Alexander, however, is still in control. At the right time of the match, no less. Tozawa is struggling to get up. Alexander goes for a Lumbar Check, but Tozawa escapes, trying anything possible to avoid the finisher. The attempts pay off with a devastating inverted ‘rana. Tozawa climbs the ropes with victory in sight. He jumps off and lands his senton finisher for the second time of the night. 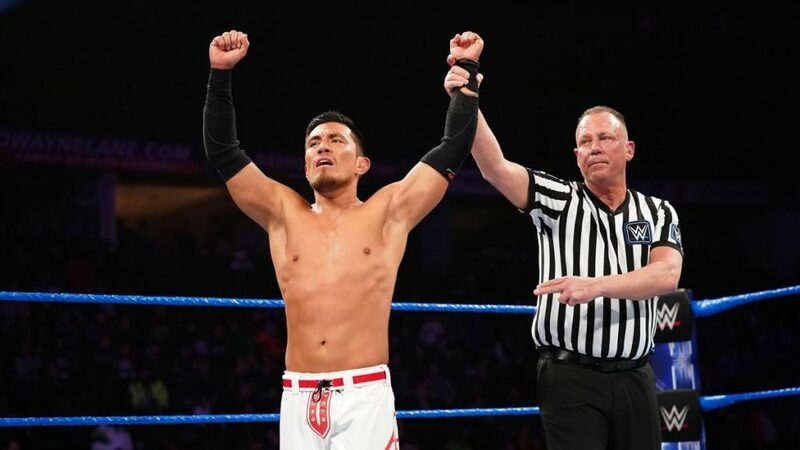 Akira Tozawa is going to Elimination Chamber! It’s amazing what a mere two weeks of being presented strongly can do for one’s character and credibility. Tozawa has been in the background of 205 Live for quite some time now, but his impressive back to back weeks sees him back at the top of the pile of challengers. With a renewed fire in his belly, I’ll be looking forward to seeing what challenge Tozawa can realistically mount against Murphy. Speaking of which, the Cruiserweight Champion is on the big screen sarcastically applauding his challenger. Murphy says he won’t be looking past Tozawa, but he’ll be looking through him, as he continues on his path to becoming the greatest Cruiserweight of all time. Make sure to check out the latest “Ricky & Clive Wrestling Show”. After a busy few days in WWE world, Ricky & Clive break down the NXT Takeover: Phoenix and Royal Rumble shows. 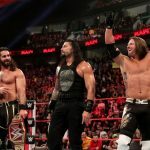 We start looking at what could be in store on the road to Wrestlemania. 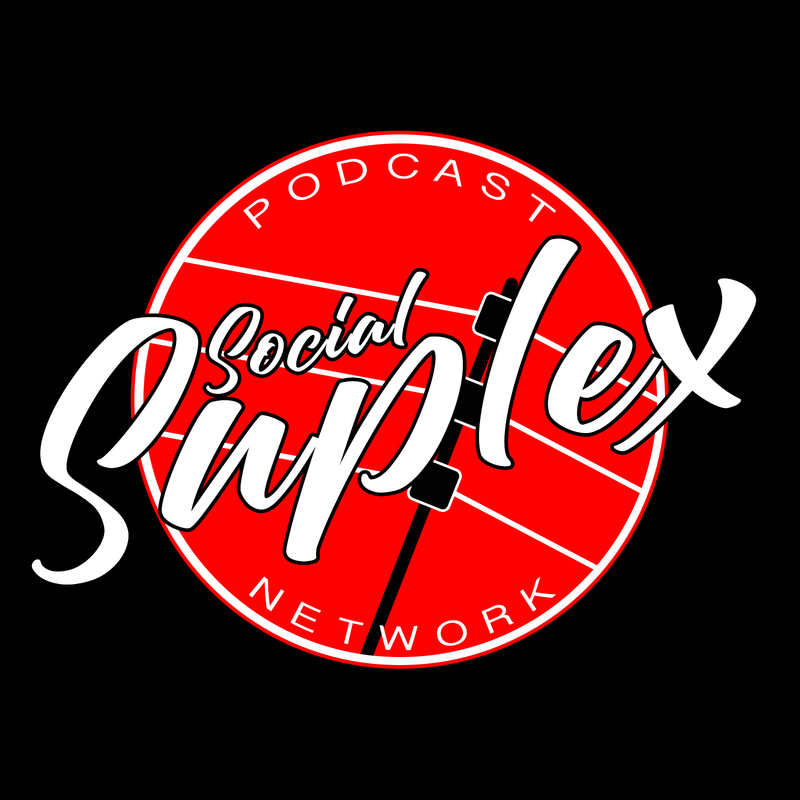 And, of course, we discuss the reports of Dean Ambrose leaving WWE in April, how WWE has handled its PR ramifications, and the questions it has raised. We finish with a General Knowledge WWE quiz. 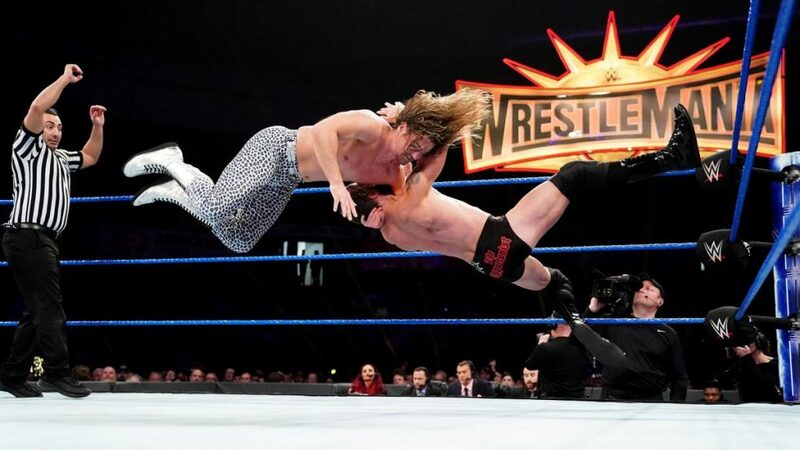 *** NEW COLUMN SERIES*** – Check out the first installment of an ongoing collaboration between myself and LOP’s “The Doc” Chad Matthews, as we keep a running update on the best matches on 205 Live throughout the year.